Here we’ve gathered a list of the top netbooks for 2015 prioritizing features (USB ports, Bluetooth, WiFi, etc. ), design (size and weight) & performance (CPU and RAM). The list is broken down into 3 price ranges for you to choose from. $475 – This ThinkPad has an Intel i3-2367M Dual-Core 1.4GHz Processor with a 3MB cache, a 320GB hard drive with 4GB of DDR3 RAM and an 11.6 inch screen with a 1366×768 resolution and LED background lighting. It also includes a Bluetooth 3.0 Webcam with microphone and a 6-cell lithium-ion battery that provides an astonishing 9 hours of battery life. The ThinkPad X130e is considered by many to be one of the best netbooks of 2015. $520 – The VivoBook S200E from Asus is a netbook with a powerful processor that uses little wattage and cools down quickly. 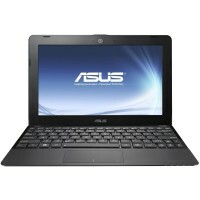 This small touchscreen netbook is very convenient for people on the go. VivoBook features the newest integrated Intel HD graphics. 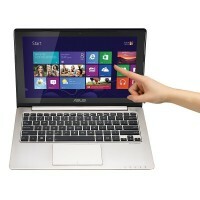 The VivoBook uses a Core i3-3217U, which is part of Intel’s Ivy Bridge lineup. This processor has a speed of 1.8GHz. Integrated into the CPU is Intel’s newest HD Graphic 4000. The hard drive is 500GB. The graphics are DirectX 11 ready, which provides better animations and allows for more shading. Also includes three USB 3.0 ports. These ports let you transfer data 10 times quicker than the old USB 2.0 standard. The laptop has a memory card reader along with VGA and HDMI ports with which you can add additional monitors. The CPU and GPU share 2GB of RAM. Maximum battery runtime is five hours. 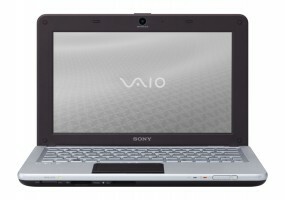 $499 – Sony presents the VAIO VPC-W121AX/T from its high rated W series featuring a 1.66 GHz Intel Atom N280 processor, 1 GB DDR2 RAM and 250 GBs of hard drive space. Comes with Intel GMA 950 Graphics. It’s a 10.1 inch screen with LED background lighting and a 16:9 widescreen display. Also includes an integrated webcam and microphone, Bluetooth and WiFi, stereo speakers with Intel High Definition Audio Technology, USB and VGA ports. The battery life is a surprisingly good 7 hours. $520 – Thin and compact with a 1.4GHz dual-core processor, you can expect this netbook to handle many of your multitasking needs while being compact. 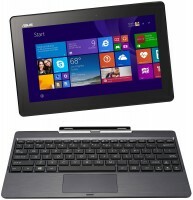 It has a touchscreen that works great with Windows 8 and the CPU stays cool unless you push it to its limits. It has a 500GB standard hard drive that can’t be upgraded. It utilizes Intel HD 3000 integrated graphics card. The 4GB of RAM can be upgraded to 8GB and the processor can be upgraded to 1.8GHz. Has a standard 1366-by-768-pixel resolution on an 11.6-inch glossy screen. Movies and images are sharp and colorful, and the screen has good viewing angles. The screen supports 10-point touch. It features an SD card reader, audio in and three USB ports, two of which are USB 3.0. Also includes HDMI and VGA ports and a 720p webcam that displays accurate color and works in low lighting. $360 – The TouchSmart brings responsive touchscreen technology to netbook design. With an 11.6-inch screen, this award-winning netbook is about as close to a full-size laptop as you can get. One of the nice features of the 11Z is your ability to upgrade from 4GB to 8 GB of RAM and from a 320GB hard drive to a 500GB hard drive. Another useful feature is a 7-hour battery life which allows you to be more productive between sessions. 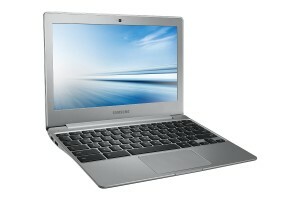 $230 – Powerful computational power is guaranteed with the Chromebook’s Samsung Exynos 5 Octa 5420 1.9 GHz Processor and 4 GB DDR3L SDRAM, surpassing most of the other netbooks on the market. The hard drive is a 16GB solid-state drive. The screen is 11.6 inches with 1366 x 768 LED HD Resolution. Operation system is Chrome OS. One charge ensures 8 hours of battery life. 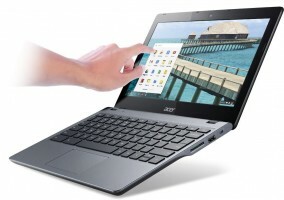 $309 – This ultraportable netbook has a 10-inch screen, matching the size of many tablets currently on the market but with a keyboard, more RAM and more storage space. The 1015E is great for browsing the internet and working on spreadsheets or word documents. The 1015E’s Celeron 847 CPU has a fair amount of power and has a 1.1GHz processor. The 10.1-inch screen has a standard resolution of 1366 x 768. Comes with a standard 2GB RAM but is upgradeable to 4GB. The 320GB hard drive has plenty of space, especially with all the online cloud storage options available. You also have the option of upgrading to a 500GB hard drive. 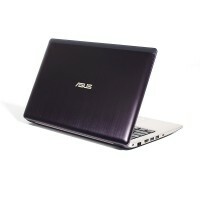 It lasts 7.5 hours on one charge making it one of the best netbooks on the market in terms of battery life. The device is Bluetooth compatible and features an SD card reader and several USB 3.0 ports. $370 – Possibly the highest powered netbook, the C720P has 4GB of RAM and 128MB of dedicated system memory. With the touch screen – it ends up being a screamer. And – with a huge powerpack, it will last for 7.5 hours between charges. 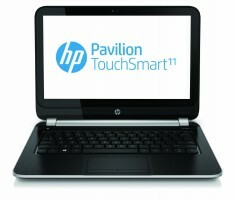 It has built in a 10-point multi-touch display and if that doesn’t work – has the built in touchpad. The 11.6″ HD display works well in the dark or light – the resolution is crisp and has and HDMI port if you want to go directly in a TV. Only 0.78-inches tall, and just .02 ouches under 3 pounds, you’ll never know its even int he backpack. $200 – The T100 is a Windows tablet with netbook roots. It’s a 10-inch Windows tablet that comes with a keyboard dock in the box. It provides solid performance, long battery life, runs traditional desktop apps and comes with almost no bloatware. Includes a USB 3.0 socket on the left side of the dock. On the tablet itself, you’ll find micro-USB and micro-HDMI ports on the right landscape edge, along with a headphone jack and microSD slot. Also has a 1.2-megapixel webcam for the occasional video chat. With the continuous waterfall of tablets, you may not see the need for a netbook. But these mini laptops are a great tool for general internet browsing and working with Microsoft Excel and Word. Plus, with their small price tags, netbooks are great computers for students that keep the traditional keyboard and monitor combo. Updates to technology such as larger hard drives and smaller touchscreens have revamped netbooks to make them a strong computer for classrooms and business trips. They are great for everyday internet use and movie watching, and they have enough CPU power, memory and storage to function as strong multitasking machines. Be sure to also check out our reviews on the best laptop computers.